TPC Training Systems' Online Learning Management System Surpasses 130,000 Total Users with Active Licenses. TPC Online™ grows to offer online training to over 130,000 employees in 12 years. TPC Training Systems now provides training to over 130,000 active employees in TPC Online™, its web-based learning platform. TPC Training Systems now provides training to over 130,000 active employees in TPC Online™, its web-based learning platform. This milestone comes as TPC Online™ celebrates its twelve-year anniversary. Since its release, TPC Online™ has grown to train an average of 10,800 new workers each year. TPC Online™ brings technical skills and safety-related content to clients seeking training in maintenance, plant, and manufacturing environments with the deepest industrial training catalog in the industry. Online training is growing as companies recognize the many benefits online training programs provide. TPC Online™ enables employees to increase skills through courses and learning plans that are fully customizable to the needs of the business and student. Interactive online training often results in a reduction of learning time, flexible scheduling, greater retention of concepts, and more. 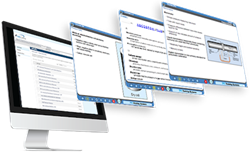 Training administrators have adopted TPC Online™ as their primary training tool largely because it improves the oversight of maintenance training programs. The ability to manage specific content for unique users, all while tracking and evaluating each worker’s progress, has proven to be a valuable feature. Administrators can train at one facility or globally using consistent and cost-effective industrial skills training through TPC Online™. TPC Training Systems launched a new TPC Online product, TPC Online Professional, in 2017 that has accelerated the platform’s growth. TPC Online Pro delivers training to facilities with smaller maintenance teams through a monthly subscription. TPC offers a 7 day trial period of the new system which hosts a curated set of TPC’s most popular industrial skills training courses and essential reporting capabilities. For more information about TPC Training Systems, please visit tpctraining.com. You can also contact us at 800.837.8872.